Preheat oven to 400 degrees. Grease a twelve cup muffin pan, or line with paper liners. In a large bowl, combine first five ingredients. In a medium bowl, whisk next five ingredients, honey through vanilla until well combined. Add wet ingredients to dry ingredients stirring until just combined. Mix in mashed bananas and pecans. Spoon batter evenly into prepared muffin pan. 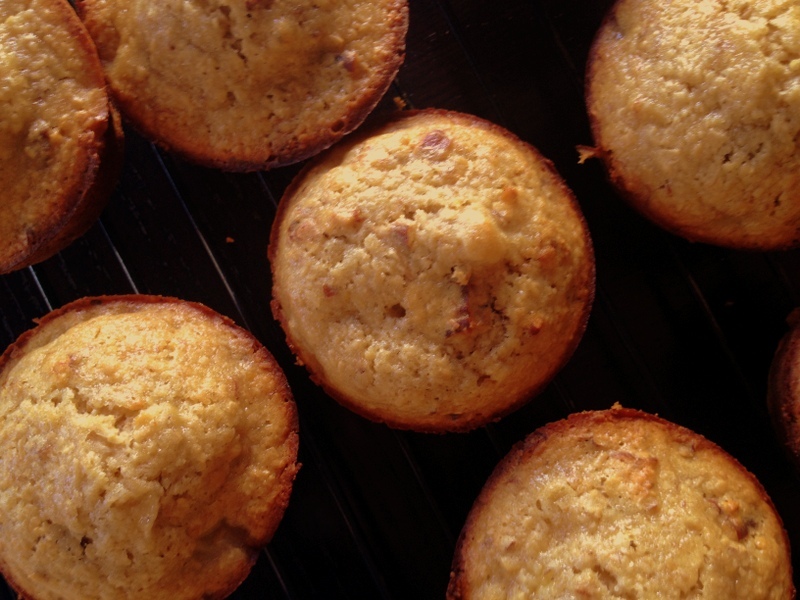 Bake for 18 – 20 minutes or until a toothpick inserted into centers of muffins comes out clean. Transfer to a wire rack to cool. I’ve been looking for a bran muffin recipe that has the bran density, but that is moist. The one is moist and tasty. It’s a good recipe – I’ll definitely make again.